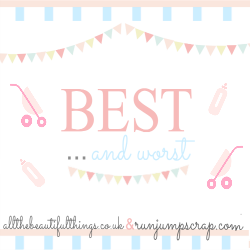 Blogging Beautifully: Why isn't the World a Nicer Place? What news to wake up to. The awful tragedy that happened on Monday night in Manchester. I have not stopped thinking about it all day. I had shivers watching the news coverage and felt incredibly emotional watching parents appeal for their children that are now missing. Mums, Dads, Grandparents, guardians will have waved their super excited children off to watch Ariana Grande, they would have been full of beans, feeling grown up being allowed into the arena by themselves and with their friends ready to watch their idol perform. Some might say it's a rite of passage. Some of these innocent kids and teenagers may not have made it home. I was allowed to go and watch Boyzone and Justin Timberlake when I was around 12 years old. I remember it well, the pure anticipation and excitement getting ready to watch our idols. My Mum would often take me and my best friend, she would sit in the car and mark her work (she was a teacher) ready for the next day and then wait for us to come out buzzing. I remember us being so thrilled to watch our favourite pop stars perform and being allowed to find our way to our seats and watch them all by our self it was so flipping exciting! I found myself thinking that in a few years time this could have been Alfie or Elarna going to a show or concert........but what if they didn't come out of that arena. The fear and panic those innocent people in there must have gone through I can't even begin to imagine. What sort of a world do we live in? These awful atrocities that keep occurring are becoming all the more common and that worries me greatly. What sort of a world are our children growing up in? How do we bring our children up in a world full of hatred and negativity and ensure that they are compassionate, friendly and nice individuals. I constantly tell Alfie it's nice to be nice and horrible to be horrible. He's only 5, he has no real clue what is going on in the world and currently is oblivious to what has happened in Manchester. I know I can't shield him forever but I certainly don't want to expose him to the harrowing news reports and images at this age. Elarna at the age of 2 just sees the world as a voyage of discovery at the moment and I'm happy for that to continue. 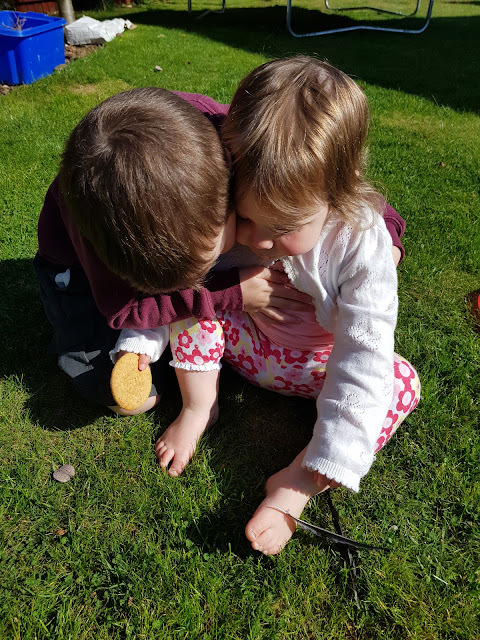 I've never been one to wrap them in cotton wool and I embrace them being independent and free spirits and I hope as they grow up they will continue to do so despite all the nastiness in the world. I'm not afraid to go to places, nor do I worry constantly as what is the point of that. What I am though, is aware. I am aware that bad things happen, terrorism is rife and this seems to be the world we life in now. I'm not going to stop going on the train, underground or attend a concert. I'm still going to visit shopping centres, I didn't even really feel that much at risk when I visited NYC a few years ago. So I am aware, yes, but scared no. Looking back to my childhood and when I was little I used to play outside our house, I would even play in the field near our house. We literally had no cares in the world. We would make flower perfume from lavender and daisies, ride our bikes and scuff our knees. The world was our oyster and our parents felt that they could let us do this. Would I let my kids do this now.....hell no. Not because I'm worried that they might get bombed but other awful reasons like them being lured away and being kidnapped. I wish that things were different and that the world was a nicer place. I wish that I could let the kids play out and I know they would be safe but these days it just doesn't sit right with me. I just don't get where all this hatred has stemmed from. What does it really achieve? I dread to think what things will be like when my kids are grown up, and they're bringing up their children. So, I finish this post off to say that yes it's a bit all over the place but I just wanted to write how I've been feeling. I've been thinking about things all day, I feel sickened to my core and I wish things were how they used to be. We will stand together, united. We will not be brought down be these twisted individuals and we will unite. It's just so sad. So confusing. So unbelievable to comprehend. It goes against everything we as human beings stand for. It has been an awful few days...It is so sad.